When Southwest Florida runs tourism ads in cold weather markets, the primary emphasis of the advertising always seems to be on our natural attractions…ie unlimited sunshine, the sparkling Gulf of Mexico, and pristine beaches. However, a very strong argument can be made that the allure of our 150+ golf communities brings in just as many seasonal visitors as those other attractions. 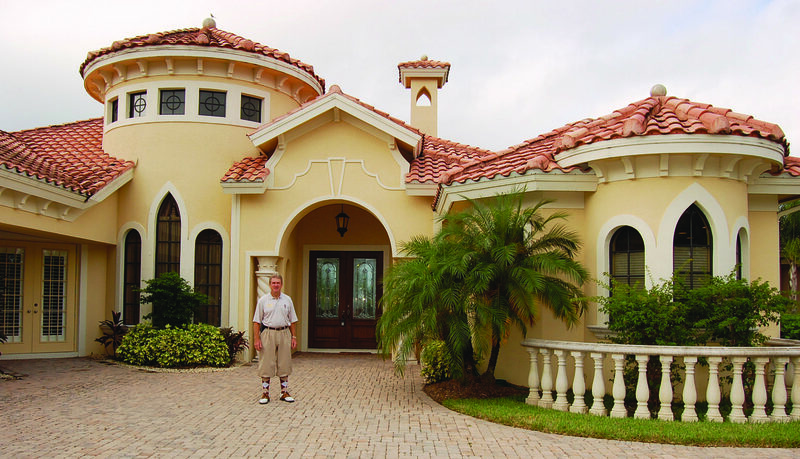 Naples and Southwest Florida is a destination for avid golfers, both renters and owners. And, if you add up the year-around total revenue contribution of these amenity-driven golf communities, it’s obvious that they play an extremely vital role in the economic success of Southwest Florida. For the past 13-years, I’ve had the good fortune to specialize in real estate sales in these incredible golf communities. My Buyers have predominantly been from the midwest and northeast United States, Florida, and Canada. After doing a lot of online due diligence, these folks all came to town with many questions, and often much confusion, regarding how to satisfy their individual needs, wants, and preferences. It has been truly gratifying for me to be able to help each of my customers find the golf home/golf community that best fit their personal budget, golfing habits and ability, and family lifestyle. Whether I’m doing the search with you, or you’re doing it on your own, it should always start with the premise that all golf communities are not created equal. The key features of each community need to be evaluated in order to find the community with which you’re most compatible and comfortable. ● Community History—who is/was the developer; what’s its age; what is its financial condition; how progressive is it? ● Community Size—how many homes does it have? ● Location—is it close to beaches; close to 5th Ave. (for Naples’ homes); close to shopping and dining? ● Golf Course—who designed it; how “player friendly” is it…for both men and women; how hard is it to get on in peak season (ie January-April)? ● Membership Programs—what memberships are available; what do they include; are they optional or mandatory; how much do they cost…upfront initiation fee, and annual fee; are there any new member “incentives” available? ● Clubhouse—is it big enough to accommodate the size of the community; does it need updating; sizes of key areas… casual and formal dining; pro shop; etc.? ● Amenities & Activities—do they have a full array of amenities; what ones don’t they have; are they big enough for the size of the community; what is their plan to add the missing amenities? ● Housing Sales History—how many homes have sold in the past year; how many are currently for sale…and how long have they been on the market? ● Condominiums—most of these consist of 12-30 units on 2-4 floors, and have carports. These are the most economical home type within a golf community…in terms of both purchase price and annual costs. Elevators are standard with 3-or-more-floors. Building insurance and maintenance of the exterior of the building are covered by condo association fees. ● Verandas—two story buildings with 4-6 units on each floor. They feature front and back lanais, detached 1-car garages, and no elevators. Building insurance and maintenance of the exterior of the building are covered by condo association fees. ● Carriage Homes—two story buildings with 4-6 units on each floor. They feature attached 1-car garages, and no elevators. Building insurance and maintenance of the exterior of the building are covered by condo association fees. ● Coach Homes—two story buildings with 2-units up and 2-units down. Every unit is an end unit, and upstairs units often feature an extra bedroom and/or bathroom over the garage. They have attached 2-car garages, and some have personal elevators. Building insurance and maintenance of the exterior of the building are covered by condo association fees. ● Attached Villas—two-or-more single family homes attached to each other. A desirable feature is that no one lives above you. They feature attached 1-2 car garages, and some have their own pools. The owner is responsible for homeowner’s insurance and exterior building maintenance. ● Detached Villas—smaller single family homes, typically between 1,500-2,700sf. Most have attached 2-car garages and personal pools. The owner is responsible for homeowner’s insurance and exterior building maintenance. ● Estate Homes—the largest single family homes in a community. Square footage varies greatly by community, but typically is over-3,000sf. The owner is responsible for homeowner’s insurance and exterior building maintenance. Obviously, getting answers to all of the above questions and considerations is a time-consuming process. However, in the long-run, it will save you time and money…and will ensure that you find the right golf home/golf community for you and your family! 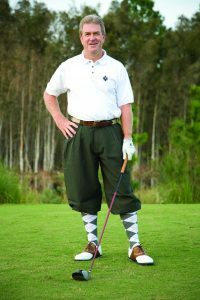 Joe Morgan—better known as the GOLF HOME GURU—specializes in SWFL golf communities, and is an Award-Winning, “Top Producer” real estate agent for Downing-Frye Realty, Inc.
For help buying or selling in a SWFL golf community, please give Joe a call at 239/438-6426 (Cell), or e-mail him at [email protected] You can also visit his extremely informative and user-friendly website, GolfHomeGuru.com, which features his exclusive “Top 25 SWFL Golf Communities List”.